Quake celebrated its 20th anniversary this week, and the developers behind Wolfenstein: The New Order released a new expansion pack. What?! Yes, I’m serious. Here’s a tweet from MachineGames, the folks who made the excellent Wolfenstein revivals The New Order and The Old Blood. 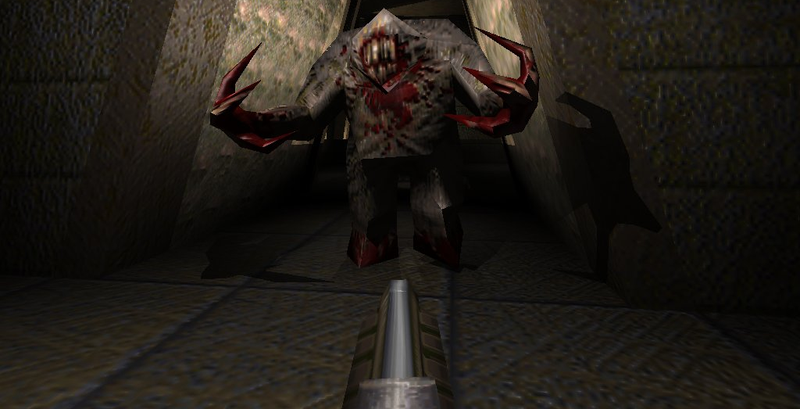 Quake is only $2.50 on Steam right now, so if you’re looking for a reason to dip back into another one of id Software’s all-time classics, now’s the time. Installing the new levels is pretty simple, too. Extract the RAR file into Quake’s main directory as a folder called dopa. Launch the dopa executable inside the dopa folder. Start a new single player game. Bethesda hinted towards at Wolfenstein game during E3, possibly called The New Colossus, but I wouldn’t be opposed to them working on Quake, either.